Choose from 126 gorgeous colors of National Nonwovens quality wool blend felt! .♥.♥.♥.♥.♥.♥.♥.♥. COLORS: Please select colors from the color charts pictured below the main product image. Make sure to CLICK THE PICTURES to enlarge them. This will enable all colors to be clearly seen and read. 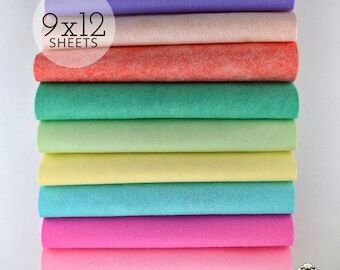 You can choose a different color for each sheet or the same color for multiple sheets .♥.♥.♥.♥.♥.♥.♥.♥. PLEASE NOTE: When ordering more than 5 sheets of a single color please convo us first to ensure we have the large quantity of that single color in stock OR look for that color in the Wool Felt Yardage section of our shop. 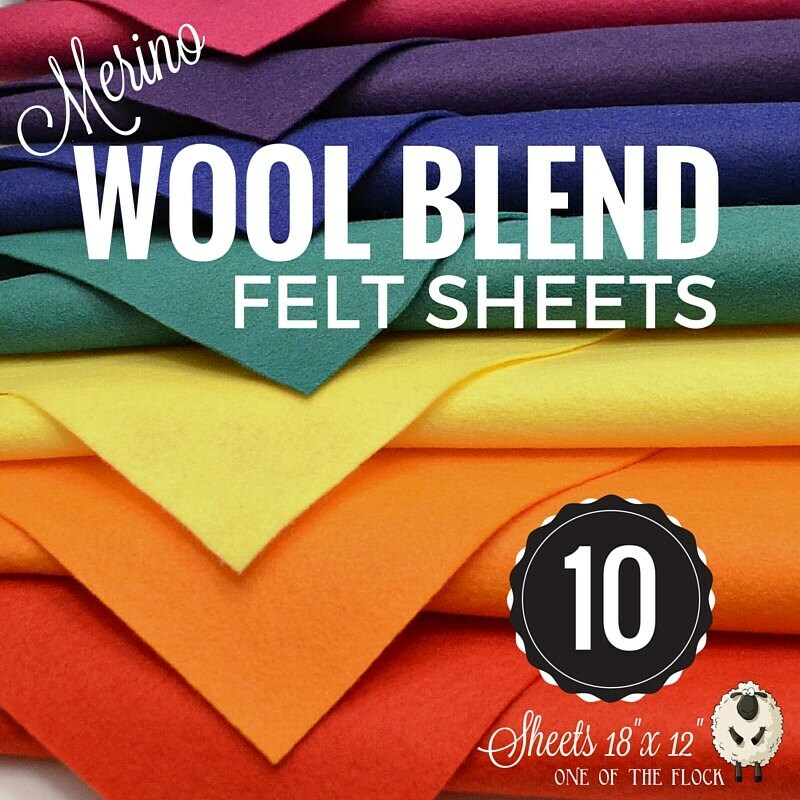 From country to classics, this wool blend felt is perfect for your creations! We are pleased to offer superior quality at an economical price. One of The Flock’s felt is a blend of 20-35% merino wool with 65%-80% rayon, making it resistant to pilling and pulling, and very nice to work with and sew with, either by hand or by machine. Great for your crafting needs, our felt has been used to make felt soap, headbands and hair bows, flowers, die cuts, penny rugs, candle mats, felt food, plush dolls, and much, much more! To care for your wool felt blend, the manufacturer recommends: Dry Cleaning. ♥♥♥♥♥♥ Want that sherpa-like, soft, snugly, fleece like felt with this wonderful natural wool fiber-blend? Follow this link to our Tutorial on how to achieve that look. ♥♥♥♥♥♥ GET THE TUTORIAL FOR FREE with the purchase of any felt bundle of 8 or more sheets! Beautiful felt and fast shipping, as always! My go-to supplier for all the felt I could need! I love the colour selection and the quality is top-notch. I use this to make patches and it holds up to quite a lot of regular wear and tear.